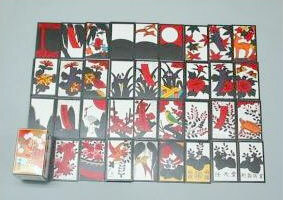 Hanafuda, which is often played at New Year, consists of 12 suits of four cards each. Each suit is represented by flowers or trees such as cherry or plum, and corresponds to a particular month of the year. Hanafuda, which is often played at New Year, consists of 12 suits of four cards each. 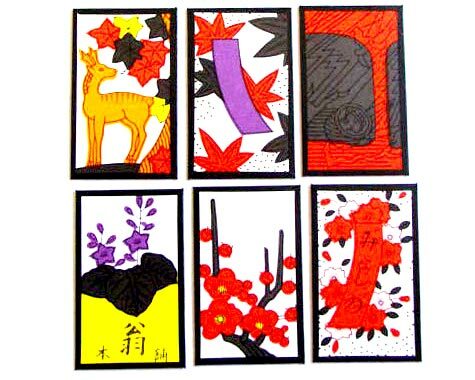 Each suit is represented by flowers or trees such as cherry or plum, and corresponds to a particular month of the year. 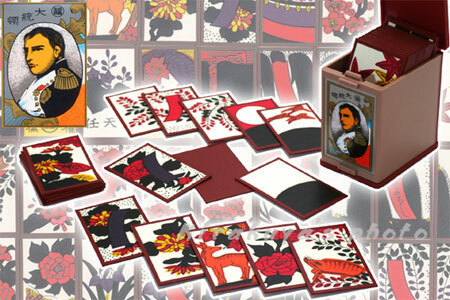 The object of Hanafuda is to collect as many cards as possible by matching suits. 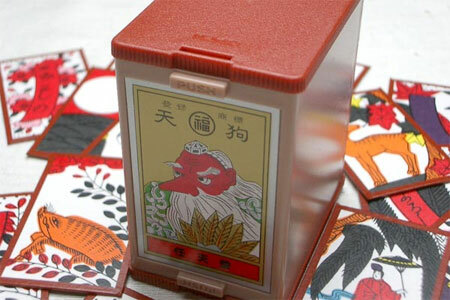 Hanafuda cards have been made since 1889 by Nintendo, now more famous as a video game maker. 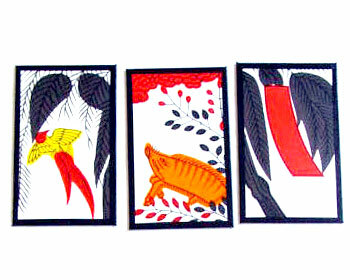 There are three types - Tonohana, Tengu and Daitoryo - each with higher paper quality. The cards come in either red or black.